Watercare is building a 13km underground tunnel which will bring up to 2 million cubic metres of sewage and stormwater from Central Auckland to the Mangere treatment plant each year. MHRS, the Mangere Bridge Residents and Ratepayers Assoc and TOES received grant funds from MfE and appealed the decision. We were able to strengthen the requirements around emergency discharges and increase the backup equipment required to prevent discharges. We were disappointed lack of continuing funding meant we were unable to continue the appeal. However, we gained a lot of information on the project, the nature of the current operation and quality of the current discharge which has led us to question it’s effects on the harbour. The organizations are still opposed to the project because of the damage such large volumes of freshwater pose to bird and marine habitat. But the project has entered detailed design and initial construction phases. 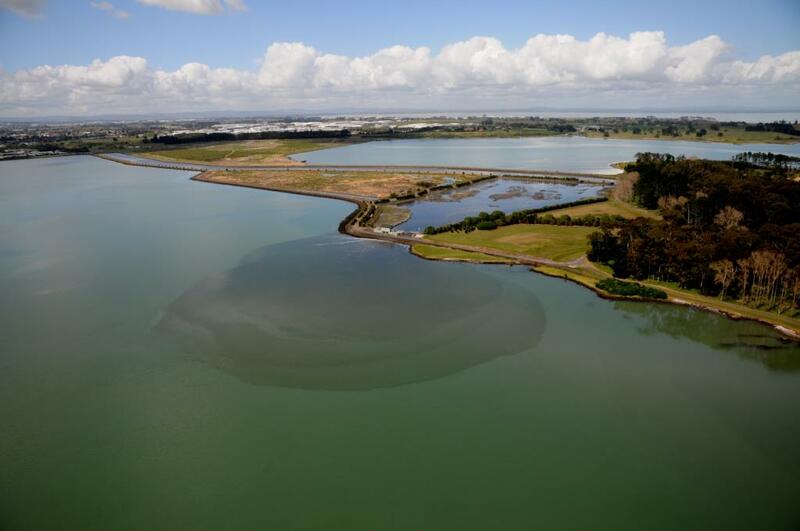 A project that will see much of Auckland's treated wastewater deposited into the Manukau Harbour has been given the green light. But opponents are promising to appeal against the decision and say there are other options that should be considered. Independent commissioners appointed by the Auckland Council have granted Watercare resource consent for its huge "central interceptor" project. The project includes a 13km underground tunnel which will deliver up to 2 million cubic metres of sewage and stormwater to the Mangere treatment plant every year. Water will then be treated and released into the Manukau Harbour. The tunnel will run underneath the seabed and will replace ageing pipework that is "reaching the end of its useful life", Watercare spokeswoman Belinda Petersen says. A "significant" volume of untreated wastewater could flood the harbour if the existing pipes fail, she says. "That consideration alone makes this a very important piece of work for us." Watercare has also been granted consent to discharge untreated wastewater into the harbour in the event of a plant failure during a storm. Construction on the project is expected to start in 2017. The Mangere Bridge Residents and Ratepayers group and The Onehunga Enhancement Society is seeking legal advice on what further action it can take to put a halt to the project. TOES spokesman Jim Jackson says they are not opposed to a wastewater system but would prefer a more "appropriate" one. "We're going to appeal it," he says. "It's not appropriate to discharge untreated human waste into the harbour when there is an equipment failure," he says. "They say that will only happen every 250 years but that could be tomorrow or next week." He has suggested "satellite" processing plants that could deal with wastewater closer to the source. "It is possible to clean up wastewater to a very high standard." Mangere Bridge group member Roger Baldwin says he is disappointed the initiative has the go-ahead despite more than 450 submissions against it. They still have grave concerns about the effect large volumes of wastewater could have on the harbour's water quality, native bird roosts and plant life, he says. The group submitted a number of alternatives to the interceptor but are "not convinced" they got a fair hearing. "Watercare had to show that they'd looked at alternatives but not that they'd investigated them in depth." Fellow member Ken Duff says the project is "seriously flawed" from an environmental standpoint. "We don't believe that the ecology of the harbour has been given proper consideration and if you don't do that, you've got a serious problem with the future of the place," he says. Mr Duff says the group would like to see a full inquiry into the project before it proceeds. Members will be presenting their alternatives to politicians in an effort to sway their opinions on the subject. The central interceptor is expected to cost about $950m - up from the $800m forecast earlier in the year. Watercare spokesman John Redwood says the latest estimate has been adjusted for inflation and the rising cost of goods. WHAT IS THE CENTRAL INTERCEPTOR? The Watercare project includes: 13km pipeline running under the Manukau Harbour from Western Springs to the Mangere treatment plant 6km of linking sewers connecting to existing lines. An emergency pressure relief structure that will allow untreated wastewater to be discharged into the harbour if the plant fails in a storm. A number of emergency air vents that will release trapped air bubbles during major downpours, including a 3m-tall vent on Kiwi Esplanade in Mangere Bridge near the entrance to Ambury Farm.